1. 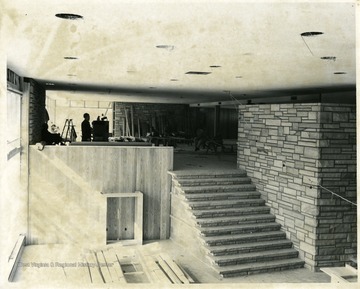 Interior of the Mont Chateau Lodge at Cheat Lake During Construction, Monongalia County, W. Va. Interior of the Mont Chateau Lodge at Cheat Lake During Construction, Monongalia County, W. Va.
2. Mont Chateau Lodge at Cheat Lake, Monongalia County, W. Va.
Mont Chateau Lodge at Cheat Lake, Monongalia County, W. Va.
3. 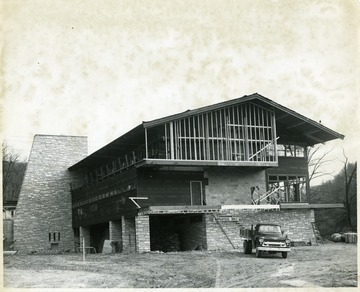 Construction of the Mont Chateau Lodge Overlooking Cheat Lake, Monongalia County, W. Va.
Construction of the Mont Chateau Lodge Overlooking Cheat Lake, Monongalia County, W. Va.
4. 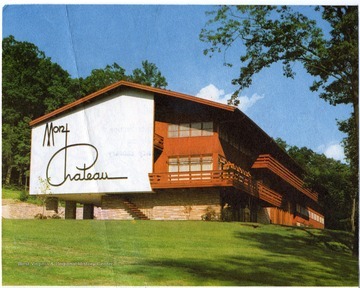 Artist's Rendering of the Mont Chateau Lodge at Cheat Lake, Monongalia County, W. Va. 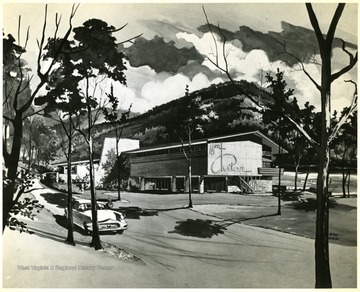 Artist's Rendering of the Mont Chateau Lodge at Cheat Lake, Monongalia County, W. Va.
5. 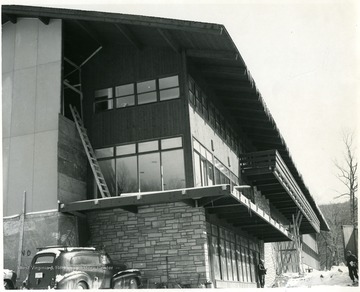 Construction of the Mont Chateau Lodge at Cheat Lake, Monongalia County, W. Va.
Construction of the Mont Chateau Lodge at Cheat Lake, Monongalia County, W. Va.
6. 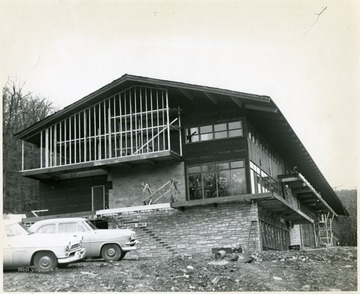 Construction of the Mont Chateau Lodge at Cheat Lake, Monongalia County, W. Va.
7. 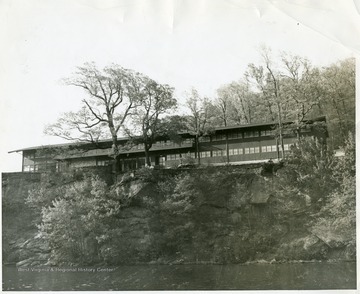 Mont Chateau Lodge at Cheat Lake, Monongalia County, W. Va.
8. 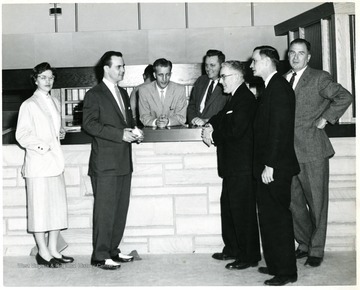 Group at the Mont Chateau Lodge, Cheat Lake, Monongalia County, W. Va.
Group at the Mont Chateau Lodge, Cheat Lake, Monongalia County, W. Va.
9. Boater at Blosser's Marina, Cheat Lake, Monongalia County, W. Va.
Boater at Blosser's Marina, Cheat Lake, Monongalia County, W. Va.
10. 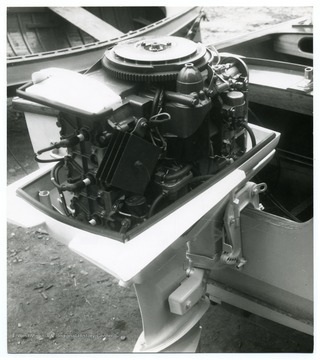 Boat Engine at Blosser's Marina on Cheat Lake, Monongalia County, W. Va.
Boat Engine at Blosser's Marina on Cheat Lake, Monongalia County, W. Va.
11. 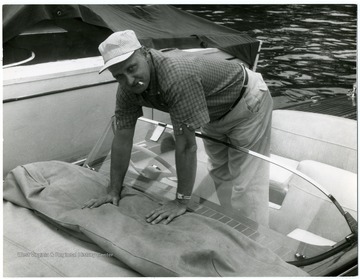 Working on Boat at Blosser's Marina, Cheat Lake, Monongalia County, W. Va. 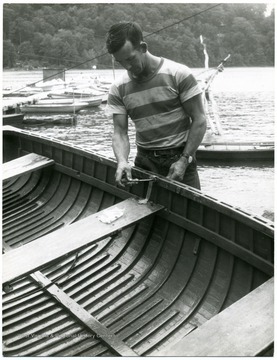 Working on Boat at Blosser's Marina, Cheat Lake, Monongalia County, W. Va.
12. 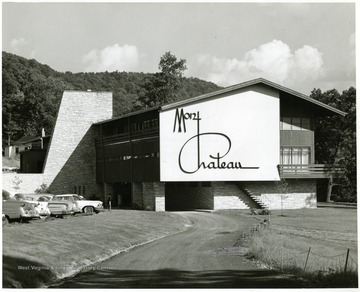 Mont Chateau Lodge at Cheat Lake, Monongalia County, W. Va.